Resident Evil 6 Concept Art | Leon Kennedy. *Stares at Joker costume*. HD Wallpaper and background images in the Leon Kennedy club tagged: photo concept art gaming video game resident evil 6 leon kennedy. 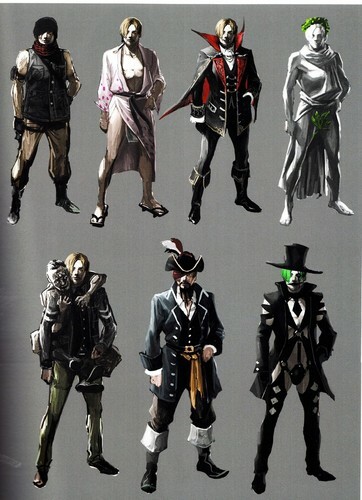 This Leon Kennedy photo might contain lippizan, lipizzan, lippizaner, 리피잔, 소매 없는 느슨한 상의, 휘장, surcoat, and 외투.